After Alstom, What's GE's Next Acquisition? After Alstom, What’s GE’s Next Acquisition? General Electric (NYSE: GE) is on the cusp of final approval for its biggest deal ever – the $14 billion acquisition of the power business of Alstom SA (OTC: ALSMY). The key regulatory approval came from EU anti-trust authorities. The only condition imposed by the EU was that some of Alstom’s gas turbine business must be sold to a strong European competitor, Italy’s Ansaldo Energia. The GE acquisition is a transformative one, expanding GE’s presence in the power market. GE had an installed base of about 1,000 gigawatts of base power generation. Adding the Alstom business immediately adds another 500 gigawatts of installed power generation to GE’s portfolio. The GE acquisition should add 15 cents to 20 cents to GE’s earnings by 2018. Of course, this deal is just the latest move in CEO Jeff Immelt’s effort to bring GE back to its roots as an industrial company only. GE is well on its way to disposing roughly $200 billion of assets, mainly in financial services. I, for one, welcome what Jeff Immelt is doing. I never owned GE stock for fear of what black holes – derivatives, etc. – were lurking in GE’s financial side. Now it’s an easier company to understand. And it’s perhaps the most dominant industrial company in the world. That brings to my mind one question: What will GE’s next move be? Bloomberg Intelligence estimates GE will have at least $40 billion in its war chest for further acquisitions. One likely sector GE will be looking at is the beaten-up oil services sector. GE already has exposure in the sector. In fact, the $18 billion oil and gas division is now the third largest industrial division. It accounts for about 12% of GE’s revenues and 20% of industrial sales. That is up from a mere 4% of sales a decade ago. Oil and gas was GE’s fastest-growing segment between 2009 and 2013. Sales grew 57% to $15.2 billion. In the last quarter, though, revenues in the division fell by 15% to just over $4 billion. Falling oil prices are squarely to blame. The same was seen throughout the industry, hitting oil service stocks hard. The MarketVectors Oil Services ETF (NYSE: OIH) is down nearly 20% year-to-date. GE itself is cutting jobs at its Lufkin unit. But that won’t stop GE from looking for bargains in the beat-up sector. Especially with the pile of cash GE is sitting on. Two companies in the pumps and valves segment that may appeal to GE are FMC Technologies (NYSE: FTI) and Dril-Quip (NYSE: DRQ). Their competitor Cameron International (NYSE: CAM) is the subject of a $ 15 billion takeover from Schlumberger (NYSE: SLB). 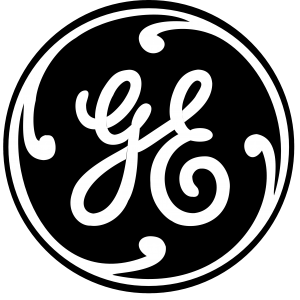 Other possible targets for GE acquisitions include: National Oilwell Varco (NYSE: NOV), Weatherford International PLC (NYSE: WFT) and Aker Solutions (OTC: AKRYY). GE may also be a beneficiary of the proposed Halliburton (NYSE: HAL) and Baker Hughes (NYSE: BHI) deal. It is believed that the U.S. Justice Department is requiring a divestiture of assets generating $7.5 billion in revenue to a single buyer. The only party to show an interest to date is GE. That will translate to GE getting the assets at the price it wants. That’s what shareholders should expect from an industrial-focused GE . . . more acquisitions at a good price thanks to turmoil in the oil patch, China and elsewhere. All funded by its exit from its financial business. That makes GE’s stock a buy in my book. Is the economy keeping you up night? Do you worry there’s another crash just around the corner? If so, you can stop worrying right now. All it takes is a few minutes. Find out how right here.